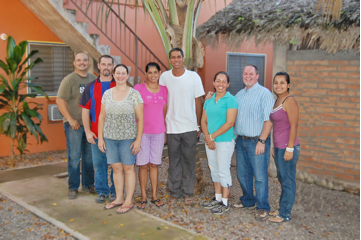 As I've been mentioning in our monthly reports, our ministry in Cofradía has been going through a transition since June. In July, I was appointed as the new Area Director for this ministry. I am excited about the opportunity to lead this ministry in the next step of raising up leaders in rural Mexico. For the past couple of years I've been able to watch my right-hand man in the Student Ministry, Luis Vazquez, grow and take ownership of the Youth Group. He's really been leading it for a while, I've just been there coaching him. With new responsibilities and knowing how God has developed the Student Leadership team, I'm confident in taking new steps myself as I step down as the Student Ministry Director in Cofradia. In my opinion, I couldn't ask for a smoother transition. For the newer and younger youth, this change is not even close to monumental. Luis has been their "Pastor" for a while. It's a strange feeling not being in charge or working first hand with the youth, it's hard to imagine doing anything else. I love the Student Ministry we have; they're awesome! At the same time, I'm excited because this was my goal as a Missionary--to work myself out of a job. As we continue to move forward, we appreciate your prayers and continued support. 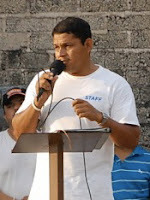 Please pray for Pastor Luis as he accepts the responsibility the Lord has given him in leading the Student Ministry of Centro Cristiano Cofradia. Also, thank you for your prayers for our staff as we follow the Spirit's leading in this ministry. Thanks again for your continued support. Your donations are changing lives.